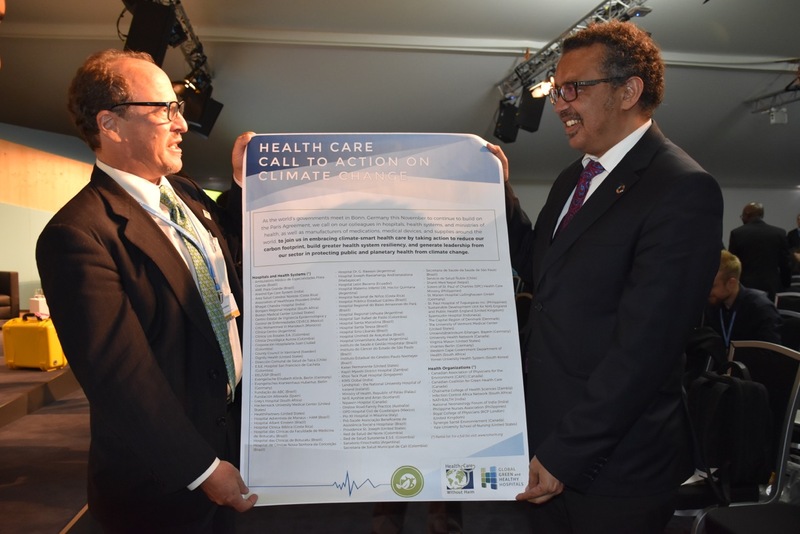 Health Care Without Harm delivered the Call to Action to the World Health Organization's Director General, Tedros Adhanom Ghebreyesus, during a high-level event on climate and health at COP23. 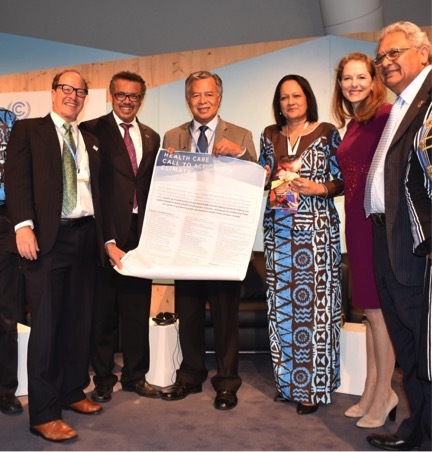 "The health impacts of climate change and the health benefits of climate action are becoming increasingly clear,” said Director General Tedros. "Health care, with its hospitals on the front lines, must be part of the solution." Organized by Health Care Without Harm and its Global Green and Healthy Hospitals Network, 129 institutions in 31 countries, representing the interests of more than 10,000 hospitals and health centers have joined the Health Care Call to Action on Climate Change.